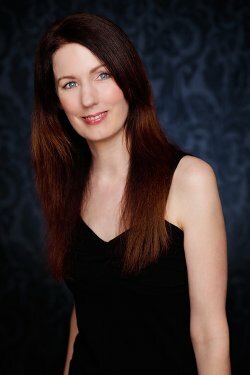 Today’s interviewee is novelist Rachel Amphlett, a British citizen who previously worked in the UK publishing industry, played lead guitar in rock bands, and worked with BBC radio before relocating from England to Australia in 2005. After returning to writing, Rachel enjoyed publication success both in Australia and the United Kingdom with her short stories, before her first thriller White Gold was released in 2011. Rachel currently lives in Brisbane with a long-suffering husband (sort of – there’s no paperwork yet) and their dog, a saluki called Floyd. British Expat: What took you to Brisbane in the first place? Did it seem like a normal career move or did something else motivate you to do this? Rachel Amphlett: Brisbane chose us – originally we were going to Melbourne, but because of my other half’s age, we couldn’t use the visa we’d intended to. We’d previously done a recce to Australia so he could decide if the country was right for him (I’d already backpacked here in my early 20s and knew I could live here), but we hadn’t gone as far north as Queensland. Our agent recommended using a State-sponsored business visa but those were only offered by South Australia and Queensland. My other half agreed to move to Brisbane simply based on my experience of the city – and I’d only spent two days there previously. It was a complete split-second decision, and definitely not normal! Did your then friends and colleagues find it unusual, or even odd, that you’d up sticks and do such a thing? Haha – no. My other half and I had travelled quite a bit before that and we’d been talking about emigrating to Australia for five years before actually moving here. There were some that I think wanted us to come back with our tails between our legs and admit it was a mistake, but most people were extremely supportive and excited for us. Did you ever regret going or was it obviously the right move even from Day One of getting there? No regrets whatsoever. We landed at 6am on a Friday morning in August 2005, the sun was out, and we couldn’t check into our motel accommodation for another four hours. The manager of the complex locked our suitcases away for us and we went out to breakfast at Southbank – it was perfect just sitting there watching the ferries and CitiCats (catamarans) getting all the commuters to work and watching the city wake up. What were the biggest problems you faced in making the move? The company we used to pack and crate the half of the container we booked waited until everything was sat on the dockside and then phoned us to demand another six hundred quid before they’d ship it. That riled us, especially as they’d done a house visit and supposedly accounted for everything. I’d recommend people get 2-3 quotes and ensure it’s for a lump sum estimate, so they don’t get caught out the same way. Do you have any advice for anyone wanting to emigrate to Australia now? Be prepared for the expense of shopping in supermarkets – it will surprise you how much food costs compared with the UK! What do you love most about living in Australia? Is the surfing and beach life a bit of a myth? It’s not a myth, but with my vampire-like skin I tend to be very careful out in the sun. We tend to have days out in the countryside around Brisbane instead – there’s plenty of mountain bike trails, horse-riding, bush walking, etc that people can do if the whole beach concept doesn’t appeal to them. Do you have a lot of expat friends or did you just integrate with Australians straight away? We didn’t know anyone when we got here, but made a lot of friends quickly because I was temping in the city, and my other half was setting up his own business. People were genuinely interested in why we’d decided to move halfway around the world, so it was easy to strike up a conversation and make friends. This entry was posted	on Tuesday 31 March 2015 at 14:55	and is filed under Australia, Expat Interviews. You can follow any responses to this entry through the RSS 2.0 feed. You can leave a response, or trackback from your own site.